The National Agency for Food and Drug Administration and Control (NAFDAC) has been informed that Ghanaian authorities had on 25th August, 2018 issued a warning against the consumption of puffer Fish which resulted to death of the two members of a family while four others were hospitalized after consuming the fish for dinner. 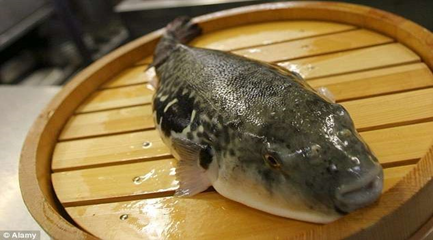 The report revealed that The Ghanaian authorities disclose that puffer fish contains tetrodotoxin, a substance that makes the fish lethal. It is reported to be 1000 times more poisonous than cyanide and it has no antidote and kills by paralyzing the diaphragm causing suffocation. The report also stated that Ghanaian authorities are intensifying health awareness on the danger of consuming the dangerous fish. NAFDAC implores Importers not to import the fish or its product into this country and members of the public are advised not to consume puffer fish. NAFDAC……………Safeguarding the health of the Nation!! !